Sometimes you’ve just gotta train for a high finish to keep you motivated throughout the year. When all those miles start to feel tedious, having a goal in mind will keep you moving. Stay motivated by competing in some of the best races around California, and in some of the best weather in the nation. San Luis Obispo County hosts a plethora of bike races, triathlons, and runs every year–enough to offer challenging fun for athletes of every skill level. In this series of posts, I’ll showcase my favorite “SLO-cal” races, so you can decide which podiums are waiting for you. What’s so great about it? : You get to ride with pros! Well, until they drop most of the group. This year, the SLO Gran Fondo will take a loop through the beautiful coastal route up Highway 1, up the climbs at Old Creek Road and Highway 46, and back to downtown San Luis Obispo. If you choose the 100-mile option, you will be doing some serious climbing about halfway through the ride. Much of the way out is on rolling hills, though the ascent will feel relatively gentle up until you hit the turn off at the 46. This is a really decent amount of climbing–prepare for plenty of lactic acid for several thousand feet upward. But if you’ve done a hundred miles before, the climbs will certainly be doable with only a few sections of really steep road. If you’re not up for the serious leg-burners, the TreQuarti offers a 75-mile route without the toughest climbs. You’ll still find plenty of ascending to keep you challenged, but not enough to stop you panting at the side of the road. But really the toughest challenge here might be the wind. As one who rides these roads regularly, the wind will probably stay reasonably calm until about 11 or so. But if it decides to blow that morning, the ride will become incredibly more difficult on the way out. The route back will feel much easier with the wind at your back and the road sloping down. A further tip about the route, if you hate wind, fear Los Osos Valley Road. It’s always pretty rough on the way toward the ocean. 6:00am start time. There’s really no point in going to bed the night before. (I have recently been told the race actually starts at 7:30, but I’ve seen conflicting reports. Either way, it’s a bummer). It will likely be foggy for part if not all of the course. The wind may also be cold. Although October is generally one of the nicer months along the coast, last year’s race was greeted with clouds, wind, and chilly temps. Prepare for temperature changes with layered clothes. It will almost certainly be chilly at the race start, and if the fog is in at the coastline, it will stay cold until you’re just 10 miles or so from the finish in SLO. Recommended Gear: Ear warmers, arm/leg warmers & wind vest or jacket, full-fingered gloves (you don’t need super thick ones, but half-finger gloves will likely leave your hands numb). You probably won’t need full-length leg warmers, unless you run cold. Wear light, removeable layers that are easily stowed in your pockets. Of course, you’ll also need the usual gear like a helmet and such. Bring enough food to keep you going between stops, and especially if you’re used to something specific on a long ride. There will be plenty of aid stations along the way, but you should expect things along the lines of orange slices and cookies. Ride with the pros! Although the Fondo organizers seem to really be pushing the presence of Lucas Euser, which is plenty cool, they’re passing over Ina-Yoko Teutenberg as just one of “the rest” of the pros. I’ve met Ina-Yoko, and she’s a very cool person in addition to being one of the winningest female cyclists in the world. She should be their featured athlete. Lucas Euser is a cool guy too–Cal Poly Wheelmen alum and all, but Ina is the one to ride with. You’ll also see Stephen Leece, who is sure to be a big name in cycling’s future. The Festival is usually pretty cool, and totally worth meandering through. Also, Art’s Cyclery (packet pick-up host) often has a 30% off sale in store. If you need any last minute gear, I highly recommend Art’s for their knowledge and great selection–especially since it’ll all be on sale. Why Do the SLO Gran Fondo? Despite the timing chips, this ride is still a benefit for charity, and not really about competing for time–though it’s pretty cool to see how well you did. This year, the event benefits ALPHA (help and support for pregnant women and families), and The Hearst Cancer Resource Center at French Hospital. Two rather noble causes that deserve our attention. Ready to register? Keep training and click here to sign up! 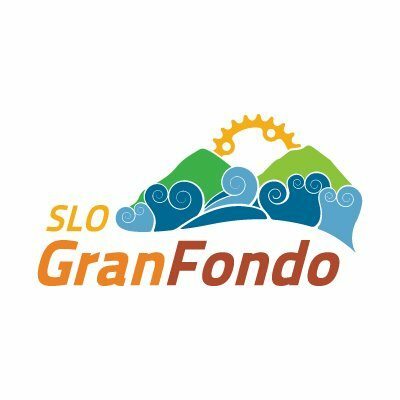 Please send me information about the SLO GrnFondo and any other rides in your area. Hey Don! 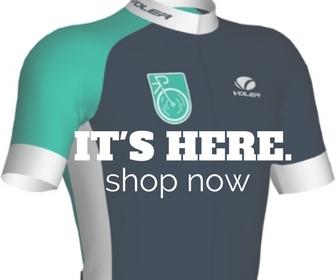 What time of year are you planning to ride over this way? The GranFondo is generally in November, but there are tons of other rides over this way throughout the year. 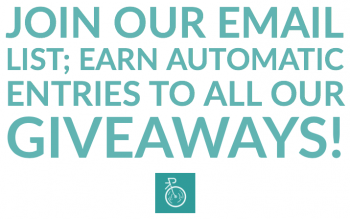 Are you thinking races or charity rides?